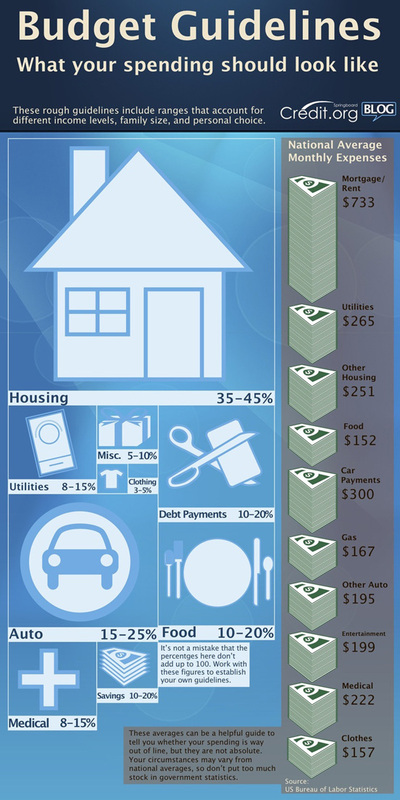 Considering Buying a Home and Wondering What Your Spending Should Look Like? Including What Percentage of Your Monthly Income Should be Allocated Towards: Your Mortgage Payment – Utilities and Other Housing Expenses – Car Payment and Other Auto Expenses – Food – Clothing – Debt Payments – etc? The Following Budget Guideline Provides Rough Estimates to Help You Get an Eye of Approximately Where You Should Be.